Omagh is a town in County Tyrone and is only two hours away from the busy city of Belfast which makes it the perfect place to stay if you are looking for a central location to explore this part of Northern Ireland. The main street of the town is long and steep and is dominated by the town courthouse with its classical styling. The twin gothic spires of Omagh’s Sacred Heart Church pierce the skyline, matched only by the single, simple spire of the church of St Columbus. The rivers Camowen and Drumragh come together in the centre of the town and combine to form part of the River Foyle system, which is famous for its salmon and sea trout. The identity of the town, it’s feel and it’s culture has been encapsulated in many forms of music, and is celebrated in a number of different festivals throughout the year, from bluegrass to rock. 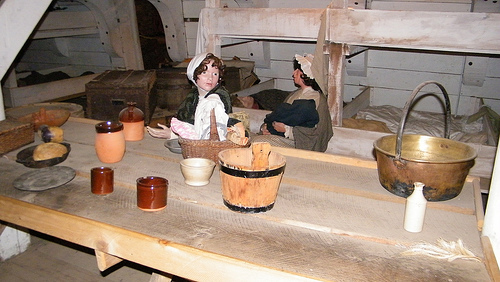 One of the most popular attractions is the Ulster American Folk Park. It tells the stories of the Irish families that left the country to seek their fortune on the other side of the world. Discover more about the thousands of Irish emigrants who made the arduous journey to the New World during the eighteenth and nineteenth centuries. With the tens of thousands of Irish men and women that started new lives in the New World it is not surprising that so many people can trace their family roots back to Ireland. This part of the country was also the site of much turmoil, from the times of the ancient O’Neill chieftains to historical skirmishes with the English forces. One remnant of this past takes the form of the ruins of Newtonstewart Castle. The site where the castle stood is also the site of a remarkable discovery from the Bronze Age, a double cist grave which was complete with its capstone. The site is also open to visitors who come to see the castle remains. As with many other parishes in Northern Ireland you will find that there is a holy well. There are references made in the old parish records of there being no less than eight in the region, specifically located around the village of Carrickmore. If heritage and history are not for you, there are plenty of other leisure activities and sporting pursuits that you can get involved in such as game or course angling in the river, clay pigeon shooting, cycling and golf as well as making the most of the areas galleries and museums. Try exploring the countryside on horseback and see the sights from a totally different perspective. Whatever your particular interest, you will find that there is something here for you to do no matter what the weather. If food is a passion you will be able to enjoy the very best in local produce in the many excellent restaurants and cafes that have their home here, and as with all of the towns and villages in Northern Ireland you will find that you are welcomed very warmly.